Werner's Cairns blog: Are western Christian democracies ready for Sharia law, a religious code for living? Are western Christian democracies ready for Sharia law, a religious code for living? It is said that Islam is not a religion, but a way of life. Are non Muslim Australians prepared to change their way of life to that required by Islamic Law? Demographic change in Islamic populations in Western countries, both from natural increase and immigration is the biggest danger facing Western democracy in the next 20-50 years. Authorities in Germany have said that Germany will, within 50 years, become an Islamic Republic. And Germany is just one of the many European countries facing the same destiny (together with US and Canada and many other Western democracies). It is vital that all people living in a democratic society who wish to preserve that society for their children and grandchildren, learn and understand the dangers that the growth of Islam presents to their freedom of speech, religion and their very way of life. You have just to look at Islamic Republics such as Iran and Afghanistan during the rule of the Taliban to see what the future could hold for you! Islam and its followers have very often been in the news, not always with good news. A lot of citizens are apprehensive of the ever increasing Muslim population around the world. Nicolai Sennels is a Danish psychologist who has done extensive research into a little-known problem in the Muslim world: the disastrous results of Muslim inbreeding brought about by the marriage of first-cousins. Click on the links below for interesting reading. 4. Austrian MP Ewald Stadler addresses Turkish Ambassador. Nicolai Sennels is a Danish psychologist who has done extensive research into a little-known problem in the Muslim world: the disastrous results of Muslim inbreeding brought about by the marriage of first-cousins. This practice, which has been prohibited in the Judeo-Christian tradition since the days of Moses, was sanctioned by Muhammad and has been going on now for 50 generations (1,400 years) in the Muslim world. This practice of inbreeding will never go away in the Muslim world since Muhammad is the ultimate example and authority on all matters, including marriage. The massive inbreeding in Muslim culture may well have done virtually irreversible damage to the Muslim gene pool, including extensive damage to its intelligence, sanity, and health. According to Sennels, close to half of all Muslims in the world are inbred. In Pakistan, the numbers approach 70%. Even in England, more than half of Pakistani immigrants are married to their first cousins, and in Denmark the number of inbred Pakistani immigrants is around 40%. The numbers are equally devastating in other important Muslim countries: 67% in Saudi Arabia, 64% in Jordan and Kuwait, 63% in Sudan, 60% in Iraq, and 54% in the United Arab Emirates and Qatar. The risk of what are called autosomal recessive disorders such as cystic fibrosis and spinal muscular atrophy is 18 times higher and the risk of death due to malformations is 10 times higher. Other negative consequences of inbreeding include a 100 percent increase in the risk of stillbirths and a 50% increase in the possibility that a child will die during labor. Lowered intellectual capacity is another devastating consequence of Muslim marriage patterns. According to Sennels, research shows that children of consanguineous marriages lose 10-16 points off their IQ and that social abilities develop much slower in inbred babies. In Denmark, non-Western immigrants are more than 300 percent more likely to fail the intelligence test required for entrance into the Danish army. Sennels says that the ability to enjoy and produce knowledge and abstract thinking is simply lower in the Islamic world. He points out that the Arab world translates just 330 books every year, about 20% of what Greece alone does. In the last 1,200 years of Islam, just 100,000 books have been translated into Arabic, about what Spain does in a single year. Seven out of 10 Turks have never even read a book. Sennels points out the difficulties this creates for Muslims seeking to succeed in the West. A lower IQ, together with a religion that denounces critical thinking, surely makes it harder for many Muslims to have success in our high-tech knowledge societies. Only nine Muslims have ever won the Nobel Prize, and five of those were for the Peace Prize. According to Nature magazine, Muslim countries produce just 10 percent of the world average when it comes to scientific research (measured by articles per million inhabitants). In Denmark, Sennels native country, Muslim children are grossly over represented among children with special needs. One-third of the budget for Danish schools is consumed by special education, and anywhere from 51% to 70% of retarded children with physical handicaps in Copenhagen have an immigrant background. Learning ability is severely affected as well. Studies indicated that 64% of school children with Arabic parents are still illiterate after 10 years in the Danish school system. The immigrant drop-out rate in Danish high schools is twice that of the native-born. Mental illness is also a product. The closer the blood relative, the higher the risk of schizophrenic illness. The increased risk of insanity may explain why more than 40% of the patients in Denmark’s biggest ward for clinically insane criminals have an immigrant background. The U.S. is not immune. 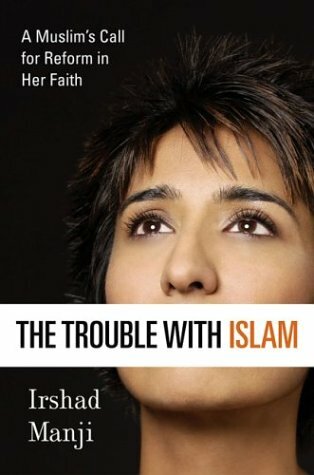 According to Sennels, One study based on 300,000 Americans shows that the majority of Muslims in the USA have a lower income, are less educated, and have worse jobs than the population as a whole. There is no doubt that the wide spread tradition of first cousin marriages among Muslims has harmed the gene pool among Muslims. Because Muslims' religious beliefs prohibit marrying non-Muslims and thus prevents them from adding fresh genetic material to their population, the genetic damage done to their gene pool since their prophet allowed first cousin marriages 1,400 years ago are most likely massive. This has produced overwhelming direct and indirect human and societal consequences. Bottom line: Islam is not simply a benign and morally equivalent alternative to the Judeo-Christian tradition. As Sennels points out, the first and biggest victims of Islam are Muslims. Simple Christian compassion for Muslims and a common-sense desire to protect Western civilization from the ravages of Islam dictate a vigorous opposition to the spread of this dark and dangerous religion. I have never considered myself a racist and I would not like to think of myself as one but I am really fed up with what is happening and I have to admit that I am frightened . I am not a Christian, I have no religion. I find religion is the cause of many wars and hatred in people. However, think it is going too far when Islam is dictating what should happen in a country which is based on Christian beliefs and democracy. Australia is a country which does not allow the violation of women and does not think of people of other religious beliefs as unclean. Surely, If we live in their country we have to abide by their laws. .So why do they expect to come here to live where our standards are different to theirs and expect us to change our laws and our ways to suit them ? Their is no doubt that any free minded person would see their religious beliefs as archaic and undemocratic. I cannot bear to see women in Burkas . If I went to their country I would feel the same way. It is a dreadful way to make women live and castration of women is abhorrent for any civilised man or woman to consider. I am glad that some people in authority are now speaking out against Islam. If this means I am racist then I will now face the fact and accept that I am. This is an extremely interesting posting, but also worrisome. This should be an awakening call that every politician should read, and hopefully tell them, to take their blinkers off. By reading about the inbreeding and the resulting diminished intelligence, one doesn’t have to wonder why these people become suicide bombers. Those people must still live in fairyland. Thanks, Werner, for bringing up this subject and I hope that every person who visits your blog is sending it on to their families and friends. After reading this posting it is clear to me that Muslims with a diminished intellectual capacity, can easy by brainwashed and become radical. They have only a one-sided outlook of things and the world, because all they listen to if the have a radio or watch TV, if the have one, is Islam propaganda and hatred. I understand that Islam is against suicide, so, why do they become suicide bombers and kill innocent people indiscriminately – it just doesn’t make sense to any normal person who simply wants to go on with life. We are all longing for peace in this world, with compassion and tolerance and respect each other. However those radical Muslims do not know these words, they want to become martyrs no matter what. Thanks, Werner, for keeping us informed. Just a quick but important message to Lorraine. - You are NOT a racist, your are opposed to a certain religion, namely Islam. There are many people in the world who would be considered Arabs, who do not follow Islam. As examples, There are many Christians in Lebanon and there were many Communists in the southern Soviet Republics. Another example is that there were many German people in "Nazi Germany" who opposed Hitler and some who even joined the resistance. It was the Nazis we were against, not all German people. So don't worry about the racist tag, just say you are against the Islamic religion. Wrong Bill Kilvert, it WAS the German nation we fought against in WW2. When British Spitfires and UK based ack ack guns shot down Luftwaffe aircraft, it was not Nazi's we were shooting at, but Germans! The Queensland flood, a continuous heartache.